Your Electrician Training could vary depending on what field of electrical work that you go into or which field that you get your training in. About 60-70% of electricians work in the construction field. You will learn to read a blueprint to determine where to place receptacles and switches, where to drill holes to run the wiring, or in a commercial building where to run the conduit to pull the wires through, and how big of wire for what size load, all according to the book, the NEC code book, and what the inspector determines. You will also learn how to wire up the receptacles and switches, and how to wire breaker panels. 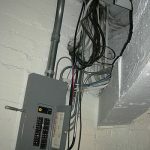 You will also learn to design and install a service drop, the point where the power company connects to the building. Some construction electricians are now running the low voltage wiring consisting of TV cable, networking cat5 cable, phone wiring, or alarm wiring. Another area that you might go into is the maintenance area, which can also be broken down into more than one area. Home or building maintenance electricians may be called on to rewire an older home or building to bring it up to code, or maybe to add a branch circuit for a new appliance. 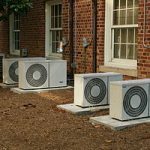 And of course when something quits working you will be called upon to come in and troubleshoot the whole system to find the problem and correct it, whether it’s a blown breaker, broken wire, or an overloaded circuit, always with an eye toward safety. The other area that I want to mention is the industrial electrician, which I believe is the most demanding and the most varied. One day you may be working on a lighting circuit or wiring an office, and the next day you may be troubleshooting a million dollar piece of machinery, or an automated assembly line, with a whole crew standing around waiting for you to fix the problem. You will learn every thing that you need to become an electrician plus a lot of specialized training for computer controlled machinery, networked plc circuits, and monitoring equipment. It all depends on what industry you end up in. Come back next time to learn more at the Electrician Training Guide.